The set includes our special programmable receiver, designed and manufactured especially by us. 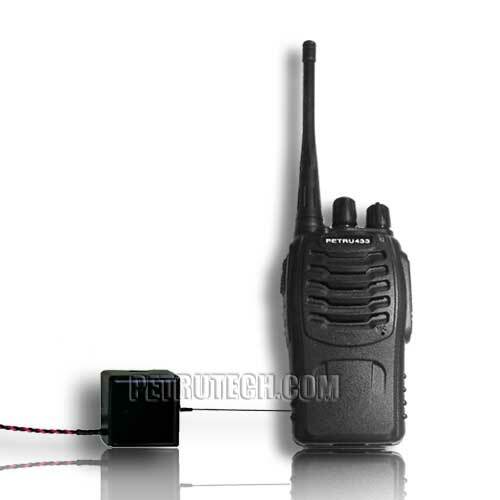 We use the case of a simple transceiver, and inserted inside a super-sensitive receiver, which may compete most professional receiver in sale. It covers the frequencies of all our covert transmitters, spying devices and "bugs". 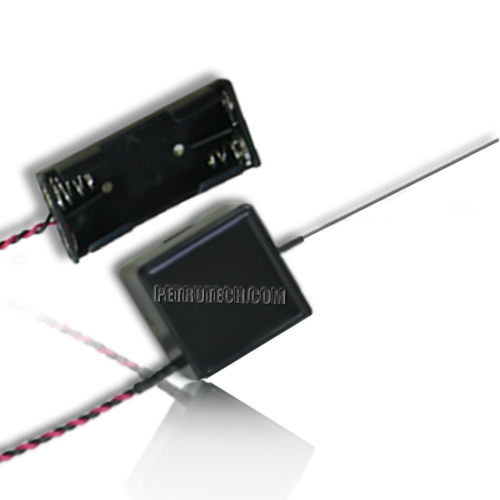 The VOX is an UHF transmitter which has a huge output power of approximately 70 milliWatts. Most bugging transmitters have an output power within 10 to 20 milliWatts. Of course, this is one of the factors which determines the distance. This bugging transmitter has voice activation. It means that usually it is in standby mode, without transmitting. As soon as there is a sound around it, above the programed level, it "wakes up" and transmits the voices to the receiver. This way we achieve two goals: 1. The transmitter is not spending battery current during the standby mode. 2. It is difficult to detect a device that does not transmit. The VOX is encased in an ABS box, and has an ON - OFF switch. As well, the sensitive components are coated with a special epoxy. This way, the electronic components and board are protected against humidity and physical shocks. Estimated working time between charging: 10-12 hour. Frequency: True NFM (Narrow Band FM) or WFM (factory programed). Receiver's frequency range: Frequency range 400 - 470 MHz (PROGRAMMABLE). 15 programmable channels (in our lab)! Adjustments: No adjustments are required. Transmitter's frequency range: NFM (UHF) 400-460MHz CRYSTAL STABILIZED. Long transmitting range: up to 4000 m line of sight. (L.O.S). Special powerful design. The Frequency is programmable (In our lab). NFM for power and stability. 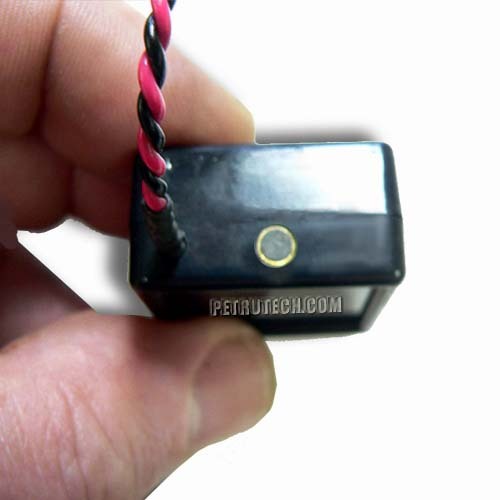 1 Crystal controlled PLL PROGRAMMABLE VOX40 Voice activated SPY BUG Transmitter. 1 Battery holder for 2 X AAA or AA batteries (Batteries not included).